A skerry is a small, flat and often rugged rock island typically found along the Baltic coast. And, the 8,000 m² roof garden of the Tivoli Hotels & Congress Center in Copenhagen actually does resemble these rocky reefs. This is due to the fact that the many plant beds with their irregular contours are located like islands in the middle of the extensive pathways. A unique lighting concept means that the elaborate roof garden is an attraction for hotel and congress guests and tourists to Copenhagen even at night-time. Thanks to ZinCo green roof technology yet another part of this pedestrian pathway has been completed. The pathway can now be used without interruption along a stretch of 440 m and will be extended at its lofty height in the future. The Danish capital of Copenhagen is one of the most important cities in Northern Europe. It is a popular tourist destination and sea port and has been honoured on a number of occasions as the “Most liveable city in the world”. The district of Vesterbro – which only a few years ago was known mainly for being a transit zone for traffic into the inner city – is experiencing rapid development which is breathing new life into the area. Green areas are contributing considerably to this, one example being the green pedestrian pathway at an elevation of approx. 10 m which starts at Bernstorffgade and continues between buildings, running parallel to the Copenhagen canal: from the Danish Rigsarkivet (National Archives) building, which has a roof area of about 7,500 m² and is greened with ZinCo system technology, over a landscape bridge and on to the building complex housing the Tivoli Hotels & Congress Center. This development will be further expanded towards the southwest with green areas, producing a new and attractive city centre locality – not far from the shopping area, the port and the famous, eponymous Tivoli Gardens that opened in 1843. Perhaps it’s because the Danish landscape has no meaningful elevations that architects and engineers particularly enjoy working with height. The entire complex was designed for the Arp-Hansen Hotel Group by the renowned architectural practice Kim Utzon. It consists of the Congress Center with 55 conference rooms for up to 4,000 guests and now has three hotels in differing price categories. The most striking buildings, each with 13 floors are the Wake-up-Hotel and the Tivoli Hotel with its highly-structured façade. The large congress hall is situated on the green roof between the hotels and, in terms of design and contour, it too would remind you of a rock formation. Large-scale glazed façades and partially-glazed folding walls open up this room to the outside world. Also facing in this direction are the restaurants that are on the same level in the surrounding hotels. They provide an uninterrupted view of the varied design of the green roof that reflects the natural features of Denmark: the skerries and also rock formations that have come about due to erosion by the sea. Close cooperation and consultation were vital during the building phase for the green roof, which lasted about 8 months, as a number of different works were being carried out on the site at the same time. A professionally-installed and root-resistant waterproof membrane provided the basis for the 0°-roof area to be greened. Then, the first layer of the ZinCo green roof systems “Roof garden”, the protection mat ISM 50, was installed. Next was the drainage and water-retention element Floradrain® FD 60, infilled with the purely mineral-based clay tile substrate Zincolit® Plus. This substrate allows for a high level of water retention in addition to excess water carry-off through the underlying channel system of the drainage elements. The system filter SF was installed next and was followed by the system substrate “Roof garden” with both a top soil and a mineral element and at a depth of between 40 and 75 cm. The substrate depths vary because additional substrate is needed to provide sufficient space for the root balls in those areas where trees are to be planted. The structural design of the new building took into account the greater loads of this intensive green roof with small trees. In addition, native plants are used in the plant beds, mainly conifers, grasses and ground cover along with both perennial shrubs such as lavender and seasonal plants such as black and white tulips. A base course of foam glass gravel, approx. 80–110 cm in depth, was used as a foundation for the pathways that account for about 60 % of the roof area. The pavement material used is China granite, elaborately laid in a Harlequin pattern. This special pattern allows for the creation of entirely irregular contours for the many plant beds that lie there like skerries in the sea. Yet another design accent is set with the Asian touch in the play area that has climbing frames, a playhouse and a slide for children, and the curved lines painted onto the ground for skateboarders. The roof design with its numerous and generous spaces between the plant beds is an invitation to be active just as much as to enjoy contemplative tranquillity. The kinship with the Tivoli Gardens becomes evident again at night-time when the roof is lit up creatively with various figures of light. Due to extreme weather conditions and ongoing global warming, the people in Copenhagen have frequently to deal with floods. 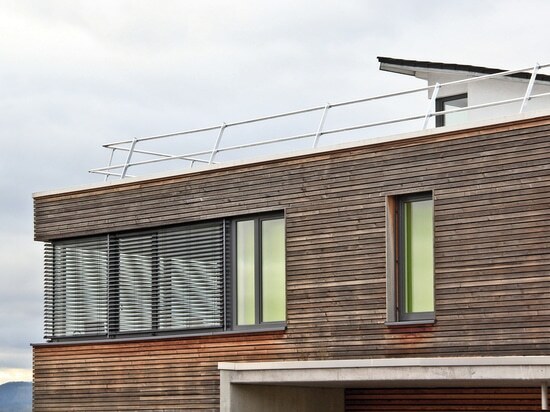 A green roof is one way of counteracting flooding and providing relief for the sewage system. The reason is that green roofs can retain 50–90 % of precipitation, depending on the type of roof. The greater part of this water is retained in the system build-up and evaporates over time and excess water runs off after a considerable delay. 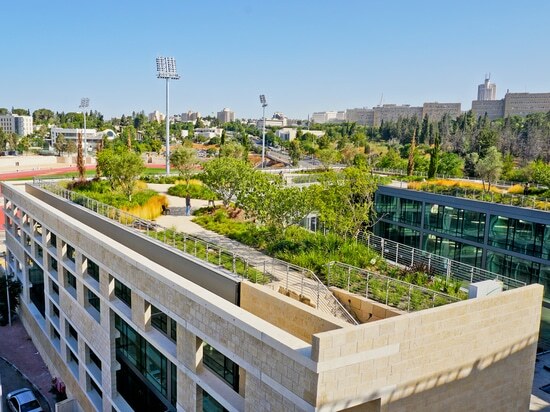 The intensive green roof at the Tivoli Congress Center with its substrate depths of up to 75 cm retains approx. 80–90 % of precipitation. The extensive green roof of the adjacent Rigsarkivet (National Archives) building with substrate depths of at least 7 cm retains about 50 %. Green roofs are strongly promoted in Copenhagen due to the wide variety of environmental benefits they offer. 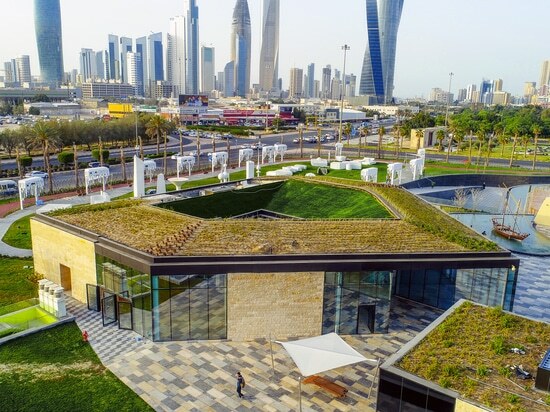 At the end of the day, the most important thing is to install the correct system technology in order to ensure that the green roof is permanently reliable and truly sustainable. With the roof gardens of the Tivoli Congress Center and the Rigsarkivet (National Archives) building, a cohesive chain of public spaces has been created for pedestrians and cyclists in Copenhagen, similar to the High Line in New York. 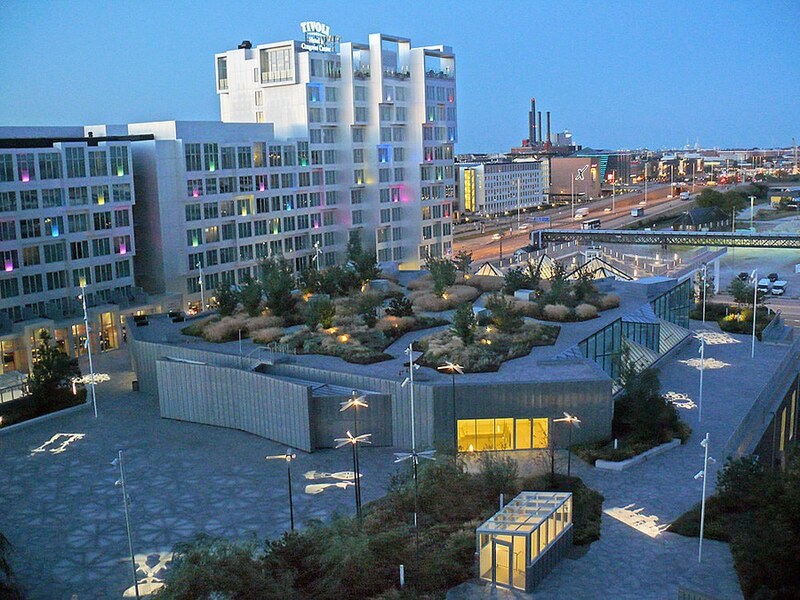 Both in Copenhagen and New York the elevated park is enormously attractive and is stirring long-abandoned city districts to a totally new life.